The skies over Vancouver’s English Bay will be a sparkly spectacle this week for the annual Celebration of Light fireworks competition. Vancouver’s massive fireworks festival, Celebration of Light, returns for its 28th year this week. Each year, three countries compete in this pyrotechnique pageant, lighting up the sky over English Bay in a rainbow of colourful sparks and flames. South Africa’s team, Fireworks for Africa, kicks off the event on July 28, followed by performances from Sweden’s Unique Pyrotechnic on August 1 and South Korea’s Daehan Fireworks Co on August 4. New to the festival for 2018 is a requirement that all competitors incorporate a theme into their display – this year’s theme is love. 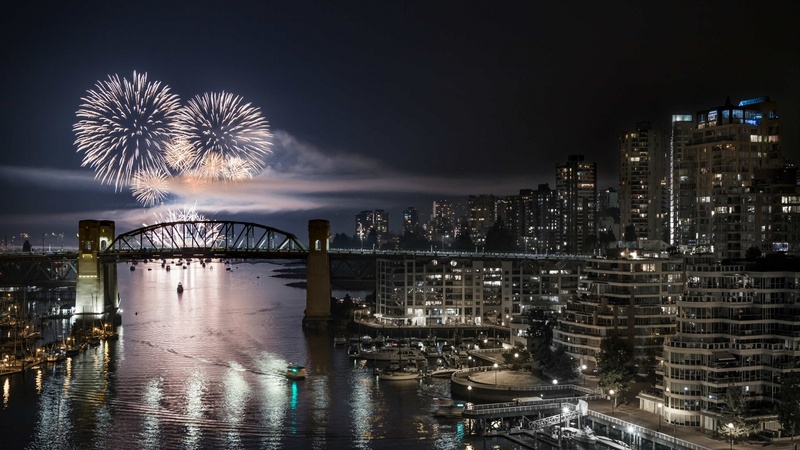 The largest crowds typically gather on English Bay Beach to watch the show, but Sunset Beach, Kitsilano Beach, Stanley Park Seawall and Vanier Park also offer good views of the fiery festivities.